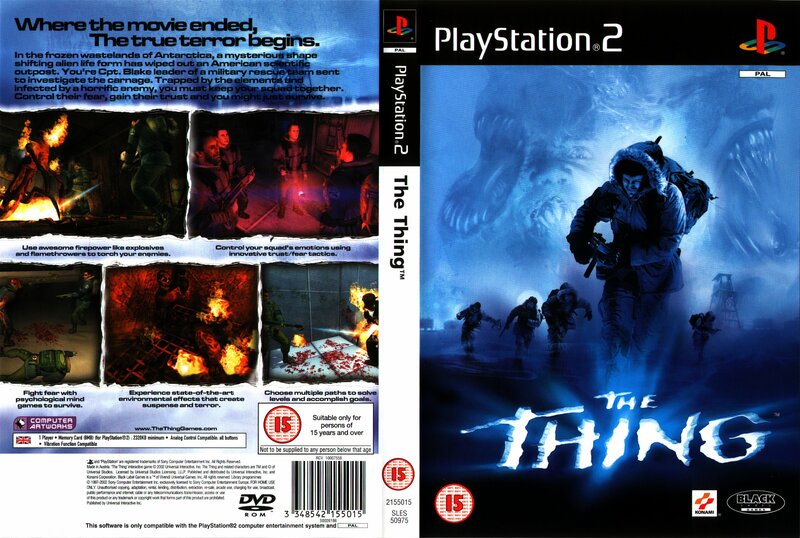 Increasingly William’s work was becoming more and more games industry focused and based on his old imagery from IBM which bore some resemblance to the central alien character, was approached by Universal Studios to create and produce a game of the cult horror sci-fi film by John Carpenter “The Thing” for Xbox, PlayStation 2 and PC. Developed as a sequel to the film over a period of 1.5 years by his team at Computer Artwork’s London studio, the game incorporated novel AI and team playing interaction in the Survival Horror genre. The game was released worldwide and was a number one hit in the UK and Germany. The game was published by Konami in the Far East. The game recieved positive reviews with Edge giving it 7/10 and PlayStation Magazine 9/10.